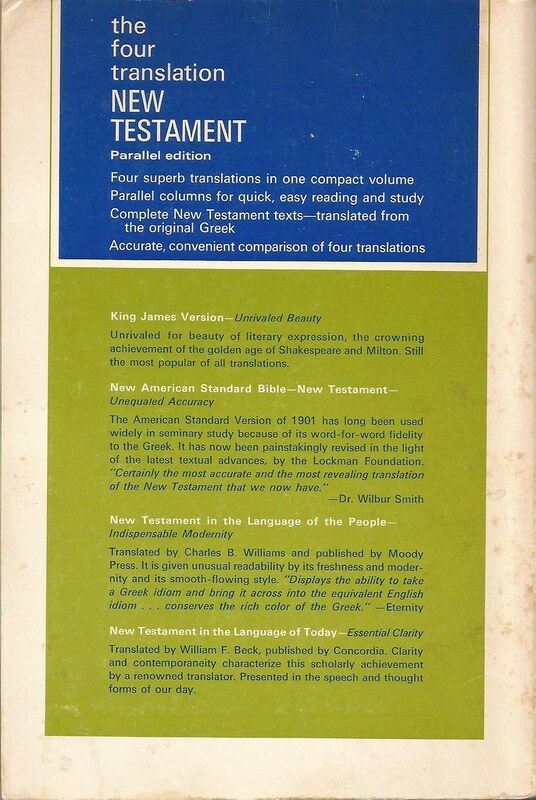 Comments: The King James Version and the New American Standard Bible are on the left hand side of the page. 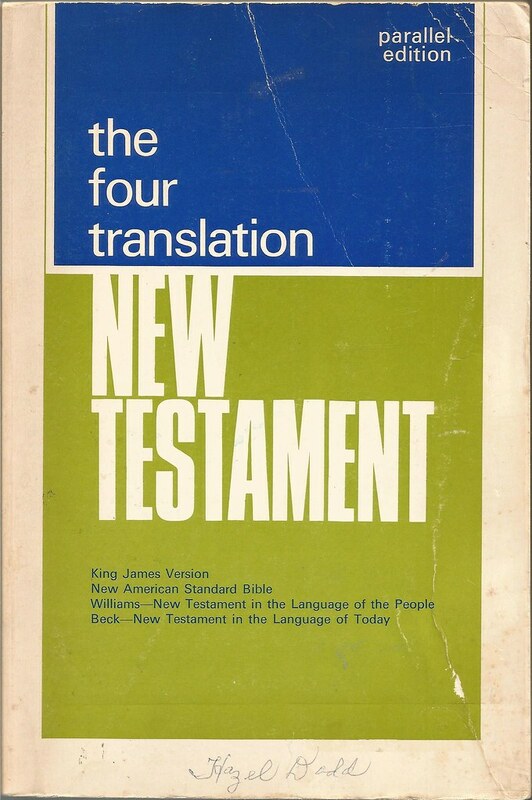 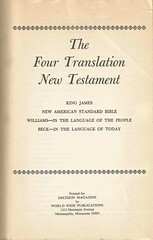 The Williams and Beck translations are on the right hand side. 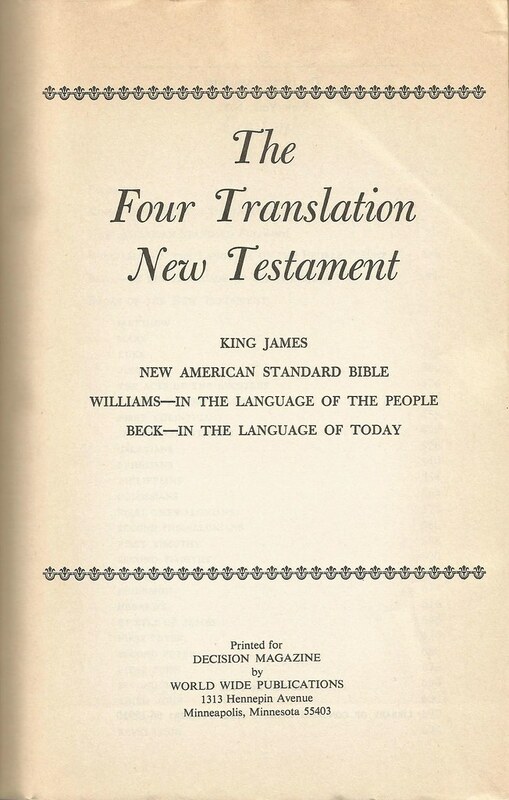 Prefaces are included for each version. 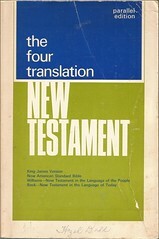 This edition was published for Decision magazine.